During the chilly days of winter, the days of finding bright cheery berries and other tasty summer fruits seem so far away. However, there is a growing variety of apples with varying colors and shades lining up at the produce section. Apples are local to most parts of North America, and many varieties will continue to be available through the winter months. Some varieties are harvested up to the early winter, and most varieties keep well in cold storage. Apples contain Vitamin C, fiber and potassium. But much more exciting news about apples are related to the various polyphenols found in them. For example, the flavonoid quercetin has been found to inhibit enzymes that break down complex carbohydrates into simple sugars. This means it helps the regulation of blood sugar. On top of that, quercetin also has beneficial anti-inflammatory effect on our cardiovascular system. 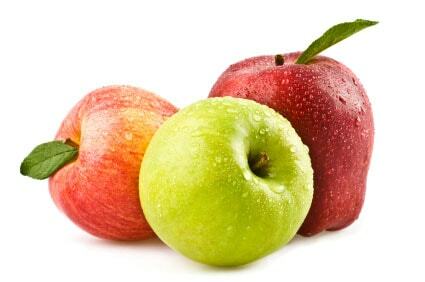 We should note that quercetin is found primarily on the skin, so it is worth consuming apples with their skin on! Fiber in apples has also been linked to better satiety; those who consume apple before a meal may decrease their caloric intake at the meal because of the feeling of fullness the apple imparts. In addition, the soluble fiber in apples, such as pectin, appears to work in combination with other phytonutrients to lower blood lipid levels. Studies have shown this lipid-lowering effect to occur when a real apple is consumed, rather than consumption of isolated pectin alone. The phytonutrient chlorogenic acid is found in both the flesh and skin of apples, and along with many others have antioxidant effects that protect the body from oxidation of fats. Studies have also shown anti-cancer and anti-asthma benefits of apples, although the actual mechanism behind this protective effect is not yet fully understood. That is a lot of health-protecting power built into a “plain Jane” everyday fruit. There is a wide variety of apples with varying levels of sweetness or tartness. Granny Smith is a common tart variety, while Golden Delicious, Gala or Ambrosia tend to be sweeter. Tart apples such as Pippin or Granny Smith retain the best texture for cooking, so they would be more suited to cooking treatments while the sweeter varieties are best eaten raw. It should be noted that any amount of processing that involves heat, such as cooking them into applesauce or baking them can destroy a significant amount of their amazing phytonutrients. Handle apples with care: once bruised, they release ethylene gas which can shorten the shelf-life of other apples in the same batch. Once peeled or cut, an enzyme in the flesh starts breaking down (oxidizing) apple’s polyphenols, leading to browning. To prevent browning, squeeze lemon juice or orange juice on cut apples. Keep apples in the refrigerator; when stored in cold temperatures, unpeeled apples can keep for a few months. While we can easily bake apples into pies or fruit crisp, here is a no-cook way to enjoy them, in a Raw Apple Crisp. Enjoy them in an Apple Salsa, particularly during the cold months when you can’t get freshly-picked tomatoes. 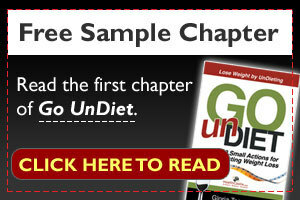 Add chopped apples to yogurt parfait or salads.